Hiring the services of a hostess when renting a boat in Ibiza is a great idea if we want to enjoy a real vacation and dedicate ourselves, body and soul, to the “doce far niente”. 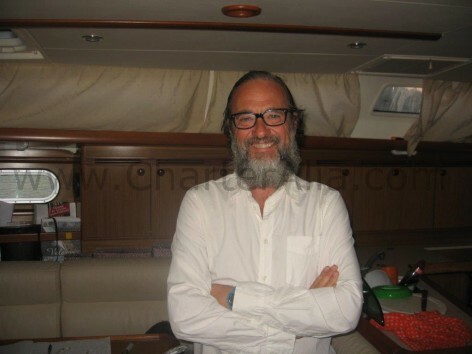 Boat rental in Ibiza with crew and hostess. A dream come true. Hello! My name is Edorta and I have always been passionate about the sea. I was born in a place where ships were part of a lifestyle for most people. When I was a child, small traditional wooden boats, paddle boats, and even trawlers were always being built on the banks of the Nervión River. They also made fishing boats of all shapes and sizes, merchant ships, tankers and super-tankers. If you are from Portugalete, you always have an adventure to tell and there is usually a boat involved! I could not imagine myself happier being anywhere other than the sea. A huge hello! 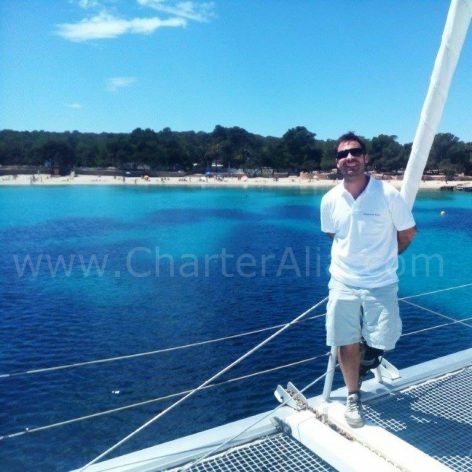 My name is Mario and you guys could be my next guests onboard our boats for charter in Ibiza! That truly sounds marvellous! You are probably wondering who I am, so here are a few lines that will give you a better idea of my life and how I got here, starting from the 80´s. 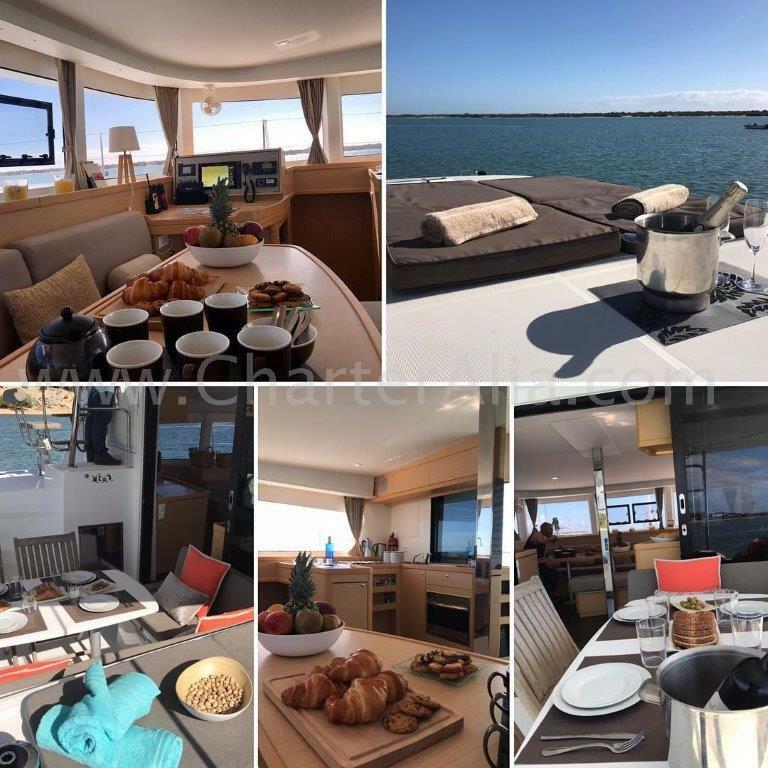 Mario welcomes all to join him aboard our catamaran for an unforgettable experience at sea. Hello! My name is Jose Zorrilla. I was born in Irun, an important town of the Basque Country known for bordering France. At 10 years old my parents moved to the vibrant city of Malaga where I grew up and lived in a sea of pure happiness. A group picture to remember all the laughter and great memories from our day at sea. Hi there! My name is Federico, but everybody calls me Fede. I´m the captain of the wonderful Lagoon 400 catamaran in Ibiza that offered as boat hire Ibiza by Charteralia. If you have not heard from us in 2 hours, please check your spam folder. Thank you! Can you picture yourselves in this video?